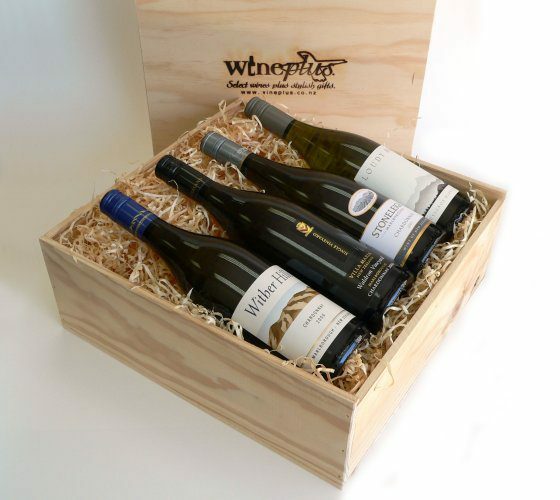 The Wither Hills Chardonnay and Villa Maria Platinum Selection Hawkes Bay Chardonnay we have selected for this gift box are excellent examples of why chardonnay is the world’s favourite white wine. Simply add two bottles of your choice to complete the selection. Wither Hills’ vineyards are scattered across the Wairau Valley in New Zealand’s largest winemaking region of Marlborough. Their chardonnay has a classically pungent aroma of melon, guava and passionfruit that underpins gooseberry, fennel and red capsicum characters to immediately fill the senses. Predominantly sourced from our iconic Keltern Vineyard, barrel fermented and perfectly blended to produce a distinctive wine, this Villa Maria Platinum Selection Hawkes Bay Chardonnay reveals a fragrant nose of ripe stone fruit, with complexing toast and vanilla characters from French oak. The wine is matured ‘sur lie’ (on yeast lees) adding further richness and texture prior to bottling. "Just to let you know how truly impressed and thankful I am for an amazing service of yours! The gift was delivered on time and safely. Your customer service deserves the best appreciation! I would not hesitate a minute to recommend your company to any of my friends. P.S. My parents love your wine! They said it is marvelous!"